Google is being investigated for allegedly placing rivals' services lower in its search results, a move that would be an abuse of its dominant position in online search. The European Commission, the regulatory arm of the European Union, opened a formal antitrust investigation into the matter after receiving complaints from other specialized search providers. The Googleplex, Google's headquarters in Mountain View, Calif. Courtesy of Scott Beale/Laughing Squid. Google is also accused of giving its own services "preferential placement" in search results, putting at a disadvantage competing services in unpaid search queries. However, reports say the commission hasn't found "proof of infringements" against the search giant, and that there is no legal deadline to complete the investigations. Google Search offers two types of results to search queries from users. There are unpaid search results, also called natural results, and sponsored results that companies pay for that appear at the top and the right hand side of natural results. The company rebutted the accusations and said in a statement that there is "always going to be room for improvement" and pledged to work with investigators. Google also said that it is "ensuring that ads are always clearly marked, making it easy for users and advertisers to take their data with them when they switch services, and investing heavily in open source projects." The companies that reportedly complained about Google's search results practices are Ciao.de, a German subsidiary of Microsoft, Foundem.co.uk, a U.K. price comparison site, and Ejustice.fr, a French site specializing in legal search inquiries, according to the Dow Jones newswire. The commission will now investigate whether Google lowered unpaid search results of competing services and prioritized its own vertical search services in user results, with the aim of shutting out competing search tools. 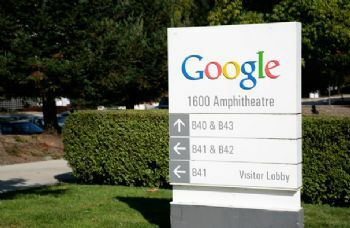 The commission will also look at allegations that Google is restricting advertisers to move their AdWords campaign data to other competing platforms. The European Commission can slap fines of up to 10 percent of their global turnover on companies it investigates. Microsoft was previously fined $2.4billion by the commission over not allowing European users a choice of Web browsers. Intel was also fined $1.4 billion by the commission for antitrust violations.